So apparently people are using ST185 Celica calipers and rotors. The Celica is 5-lug and apparently it's possible to redrill for the AW11's 4x100mm bolt pattern. The Celica rotors are about 177mm in diameter. I haven't figured out all the details yet, but we can EASILY get drilled & slotted Celica rotors from our brake supplier for cheap. 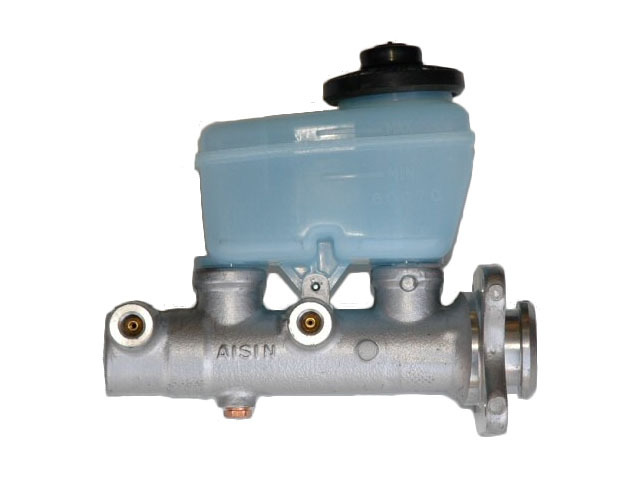 Also the 1" Hilux Master cylinder that we sell bolts right onto the stock AW11 booster!! 1990 Celica GT calipers are have a 57mm piston diameter vs. AW11 46mm piston diameter. Apparently this is a bolt-on swap (with more pad options available). I knew this thread was here somewhere. I have spare front calipers from the '87 on the lower drive, not sure about the rotors' condition though. We can put them on the rear of the poupe' and the Celica calipers on the front. As for going with larger diameter rotors, the clipers would have to be relocated. Adapter brackets would have to be made. I wonder how stock size brake pads will hold up to lap after lap after lap. Having larger pads and rotors would mean less brake fatigue and longer intervals between changing out pads, that is a great advantage over other AW11s with stock brakes. I believe the Celica's pads are the same as the MR2. You might verify that though. And, as far as going with larger rotors, will they fit under the 13" or 14" rims? I do have these hideous rims that came on the FX16 we could use. They are 15". Looking at the ST185 rotor in the pic above makes me wonder if the hub assy. could be bolted onto the MR2 ball joint and tie rod. The strut hat should be interchangeable, so possibly the entire strut assy. could move over if needed. Also, would the axle splines be the same as the Mr2. Sounds like a trip to the yard.